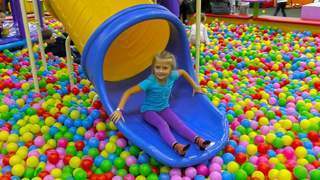 In this episode of Yarik and Mirik’s kid blog, they enjoy play time and play pretend with the colorful balls. Today’s weather report predicts rain showers of colorful balls and when the rain is over, they are are left with lots of colorful balls. Watch until the end to discover what games the boys played by making use of the colorful balls. Your kids will enjoy watching and learning at the same time with all the free videos you can find at Kivitu.com.